Canobolas~Smith Wines is one of the oldest and most significant Orange producers of premium cool-climate wines. 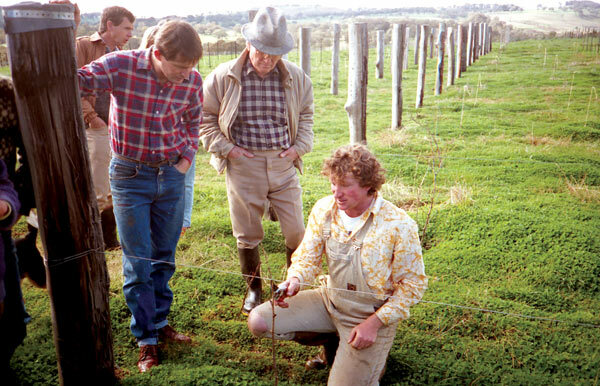 The vineyard and winery was established by Murray Smith and his family in 1986. After a lengthy search for a site with the ideal combination of climate, soil and aspect to be able to create great wine, their search led them to the northern slopes of Mt Canobolas near Orange NSW. The vineyard sits at an elevation of 850 metres, on a north-facing site with rich volcanic soil and excellent air drainage. Murray chose to plant varieties which he believed would suit such a unique site and produce distinctive, long-lived wines. Murray had studied and worked in wineries around Australia and overseas – including Napa Valley, Bordeaux and Australia. This experience is reflected in the high quality of the wines from the very beginning. Canobolas Smith is still one of Orange’s most significant producers. Chardonnay has been our star over the years winning national awards at the Winewise Small Vignerons Awards on two occasions, at the Boutique Wines of Australia Awards and earning top points at the Cullen International Chardonnay Challenge. Our flagship red blend, “Alchemy” is also regarded by many as ‘THE’ red wine of the Orange district. It is a combination of the very best barrels only of Cabernet Sauvignon, Cabernet Franc and Shiraz. We have also won trophies for Methode Champenoise Sparkling wines and for Pinot Noir, which we produce in small quantities each year.